iMotorsports is a full service dealership for Can-Am Spyders and Polaris Slingshots in the Chicago area. We are close to the Chicago O'Hare Airport and most days you can be at our location in 15 - 20 minutes. iMotorsports offers a large selection of trikes for you to rent. As a full service dealership for both Polaris Slingshots and Can-Am Spyders we keep our rental fleet in top shape. You can rent a trike from us knowing that you will have a blast cruising the Chicago or St. Petersburg area in a unique performance vehicle. 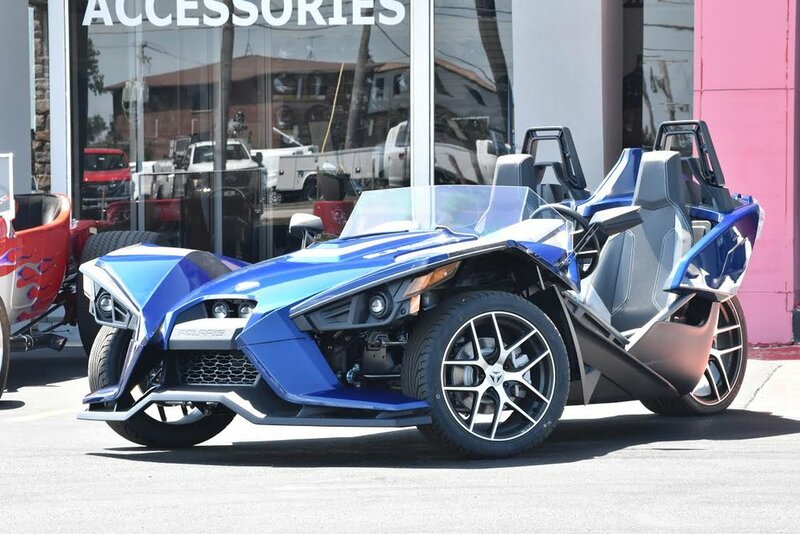 When you are looking for something different, the iMotorsports rental program for Slingshots and Spyders can fulfill that urge. We have great rates when renting any of our trikes, and we make it easy for you to quickly pickup and drop off your trike. Plan your trip now and reserve your Slingshot or Spyder. Our fees are upfront and easy to understand. We never charge for mileage so you can feel free to explore as much as you like. Choosing iMotorsports for your trike rental gives you peace of mind so you can concentrate on enjoying the experience instead of worrying about your wallet. 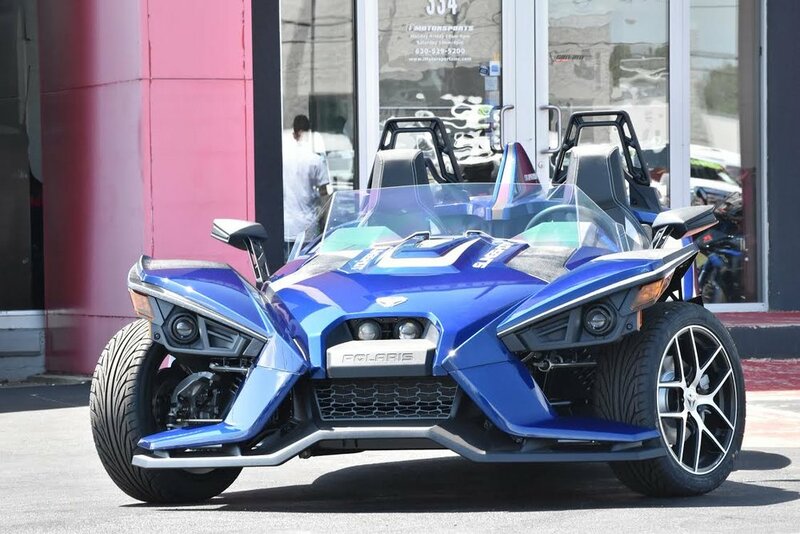 Schedule your rental online now or call us at 630-529-5200.
iMotorsports has a fantastic inventory of Can-Am Spyders and Polaris Slingshots, but did you know we also have over 400 used motorcycles under one roof? We can help you to purchase the bike or trike of your dreams and we can deliver it to your home anywhere in the continental United States for free!